Cardi B. Just Released First Pic Of Baby Kulture, And She's A Doll! Cardi shared the photo just now, while folks are still in a tizzy over her and Offset's breakup announcement. 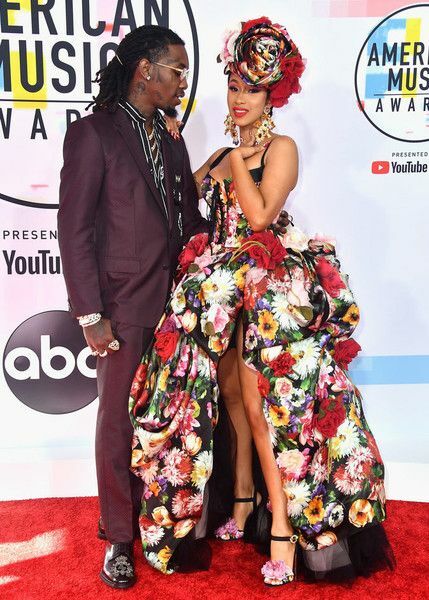 So we can't help but wonder if posting this was payback to Offset, who's been accused of cheating (again). Cardi previously said Offset told her NOT to post their baby on Instagraam, even though she was dying to do so. Sounds like Offset loved to control things, everything but his vitamin D deliveries. And she was right, her lips are so adorably perfect. And she does look just like Cardi's little sis, Hennessy Carolina. Welcome to the social media world, Kulture!